StayGoldMaryRose - Stylish vintage denby stoneware 'Heligan' arrow necklace on long antique brass chain. StayGoldMaryRose - Stylish ochre and black mayan pattern china teacup bangle. StayGoldMaryRose - Striking vintage blue willow china 'spear head pendant' necklace. StayGoldMaryRose - Elegant dark cocoa 'Majorelle' vintage stoneware and brass pendant on long chalk colour twisted cotton rope. Stunning vintage 70's pewter grey gloss cypher drop pendant with long silvery-black gun metal chain. 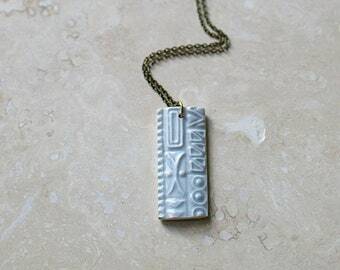 StayGoldMaryRose - Stylish vintage stoneware "Marbury'' arrow necklace on long antique brass chain. 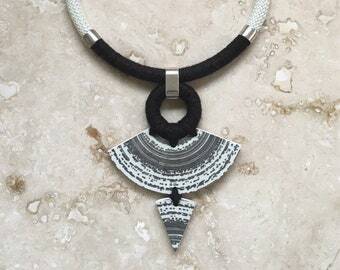 StayGoldMaryRose - Large vintage ceramic 'Pyran' statement neck piece in black and white glaze. Stunning vintage 70's ice blue gloss cypher drop pendant with long antique brass chain. 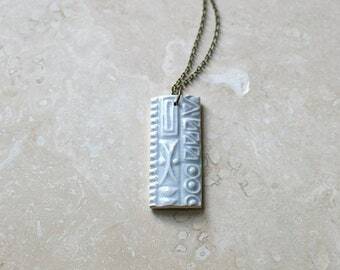 StayGoldMaryRose - Large vintage ceramic cypher-arch statement neck piece in flint grey glaze. 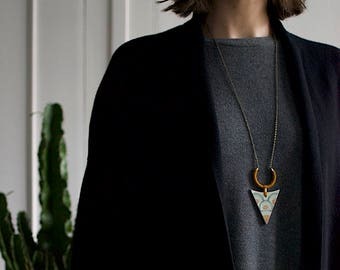 StayGoldMaryRose - Stylish vintage stoneware 'Kintra'' arrow necklace on long antique brass chain. SAMPLE SALE- 1970's stoneware 'Kahlo' earrings on sterling silver hoops. StayGoldMaryRose - Elegant deep orange 'Majorelle' vintage stoneware and brass pendant on long fawn twisted cotton rope. 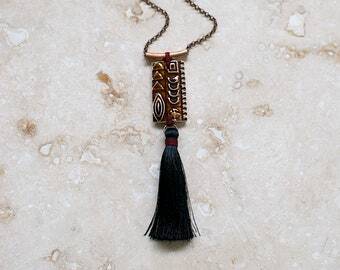 SAMPLE SALE - Stunning vintage 70's rust brown glaze cypher drop tassel pendants with long black silk tassel. 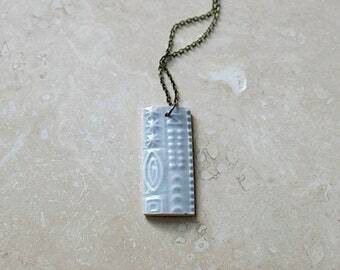 StayGoldMaryRose - Large vintage ceramic cypher-arch statement neck piece in moss green glaze. StayGoldMaryRose - Striking blue willow china spearhead necklace. What lovely things in this shop! So unusual and definitely wow factor. I bought this for a friend's big birthday but having seen it in the 'flesh' I might just have to keep it for myself! 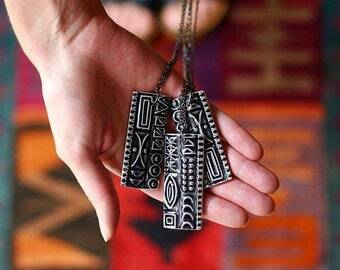 StayGoldMaryRose - Large vintage ceramic cypher-crescent statement neck piece in pewter grey glaze. 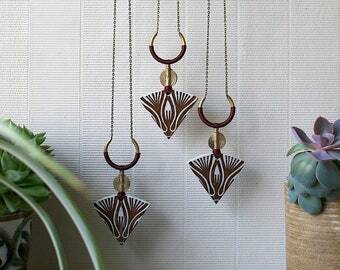 StayGoldMaryRose - Stunning vintage stoneware 'Solsta' statement neck piece on terracotta rope. 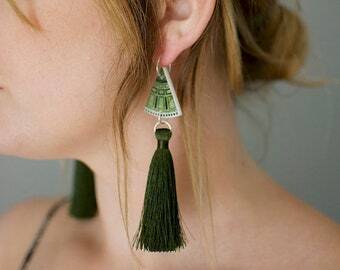 StayGoldMaryRose - Sterling Silver 1970's green stoneware 'Delamere' hoop tassel earrings. 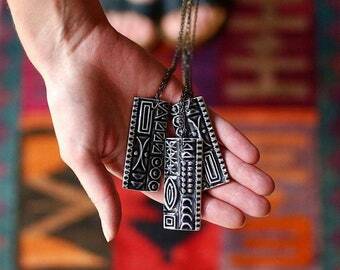 Creating Nostalgic Jewellery Using Reclaimed China. A Celebration Of The British China Industry. StayGoldMaryRose is a collection of work by British accessory designer, Abigail MaryRose Clark. Abigail has been making for shops and boutiques worldwide since 2004. The bone china used in Abigail's work is sourced from the UK's biggest China manufactures as seconds and damaged items. Abigail believes strongly in preserving, upcycling and reusing beautiful objects that have outlived their previous lives or intended use.